Hermy’s sells and services American Standard furnaces and heating products in Rapid City SD/ The full line of American Standard® brand gas furnaces use a unique, award-winning primary heat exchanger design that continues to set reliability records in our testing laboratory. Modulating Gas Furnaces feature self-calibrating gas valves that allow modulating performance from 35% to 100% and offer outstanding levels of comfort, efficiency, and quiet performance. 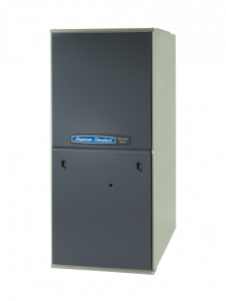 Variable-Speed Gas Furnaces quickly, quietly, and efficiently deliver outstanding levels of warm comfort and reliability. Your Heating and Air Conditioning Guys!